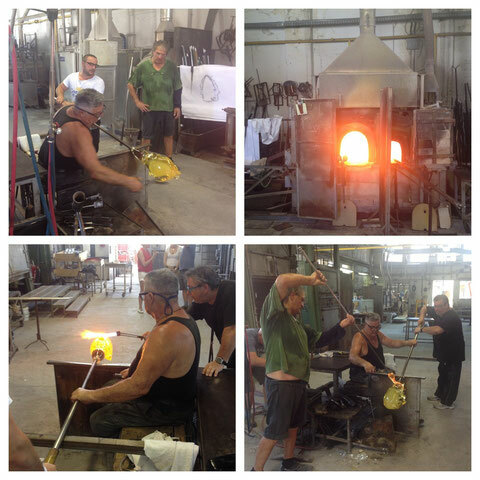 Since some time I am experimenting with glass. I have to admit that this material really excites me more and more: hard and vulnarable; cold and hot. Extremes that challenge each other. 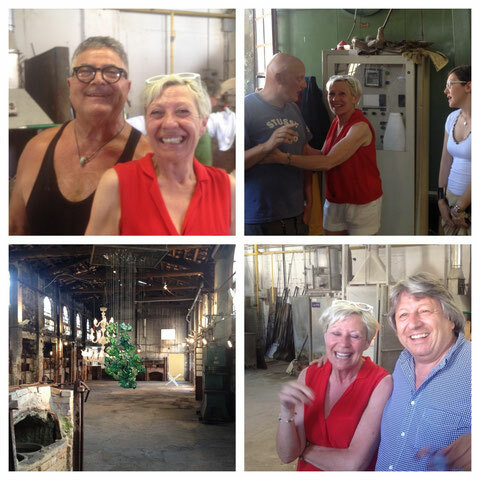 Therefore, I was really excited when I got the opportunity in Murano to see Glass Master Silvano Signoretto at work in the Berengo Atelier. He was creating some new work for the famous artist Wolfgang Zingerle. A great experience! Silvano Signoretto, who was formed by the wolrd famous Master Alfredo Barbini, is a specialist in the "Mano Volante"-technique; he sculpts with glass, a technique that doesn't allow any mistake. Melted at 1200 degrees, hard in seconds! He really makes his own quote a reality: "A master must be capable of making everything". Also "Colour Full People"?